I am using a 12 watt pump on this home kit, due to very small wattage the margin for it to flush or not is minimal. Algae build up or even weakening of pump itself will impede flushing. In this short video, I have replaced the "L" outlet with a tank adapter providing restriction to the flow. I did not have a 25mm to 20mm adapter this is the reason why I use this adaptor. Using 25mm to 15mm adapter the water will not stop. This will lead to low water condition. 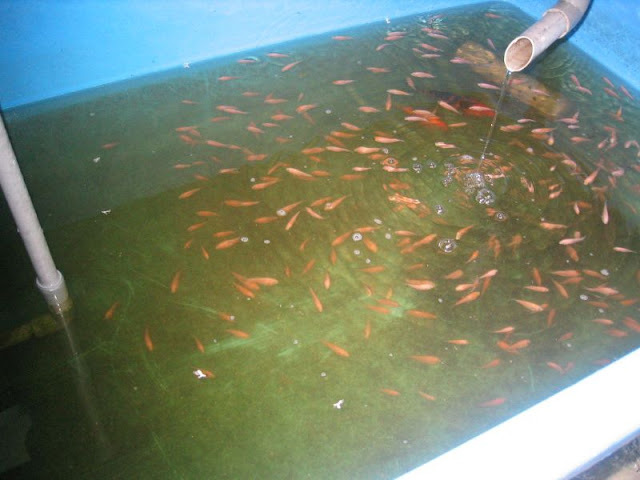 This video done 3rd Jan 2010, those are fresh new Tilapia fingerlings.